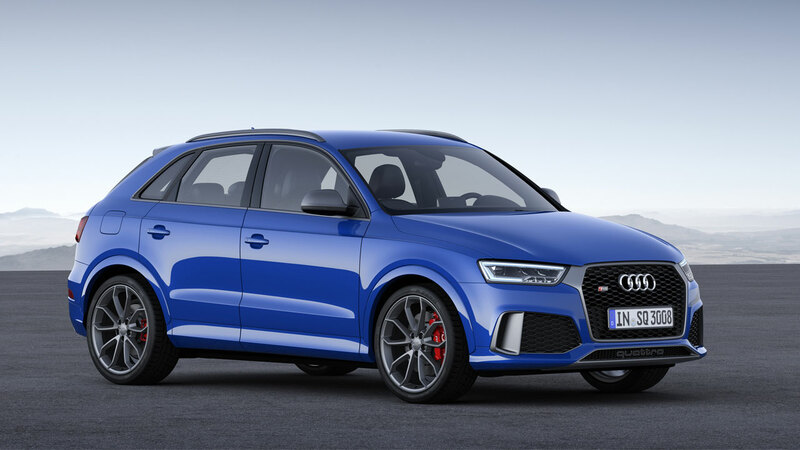 The ranks of the new Audi ‘RS performance’ range offering RS enthusiasts even more power and pace have swelled again this week with the arrival of the new RS Q3 performance. 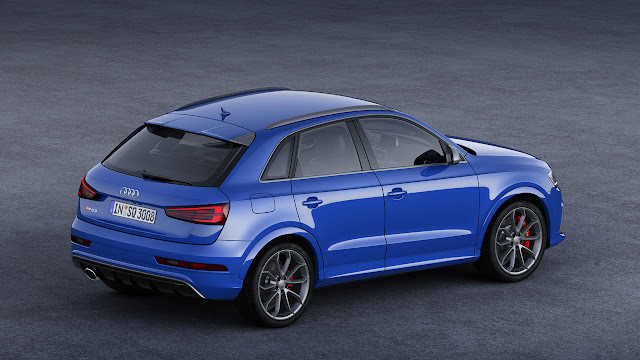 Joining RS 6 and RS 7 performance variants in the new wave of models positioned above ‘standard’ RS equivalents, the RS Q3 performance uses an increased 367PS output to deliver even more exceptional acceleration on the ascent to an elevated 167mph top speed, and features equipment enhancements which also distance it visually from its namesake. Five-cylinder fury in the new RS Q3 performance is guaranteed by a revised version of the 2.5-litre TFSI unit which an international panel of automotive journalists has named the “International Engine of the Year” in its category six years in a row. Here, the cooling capacity of the main radiator has been increased and the fuel pump has been modified to liberate 27PS more power. 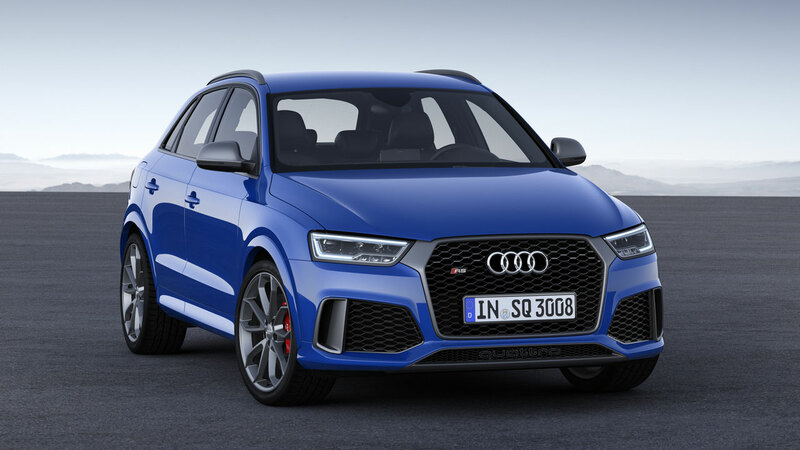 Peak torque of 465 Nm (343.0 lb‑ft) is available between 1,625 and 5,550 rpm, helping the top-ranking compact SUV to break through the 62mph barrier from rest in just 4.4 seconds (RS Q3 4.8) and to reach a top speed of 167mph (RS Q3 electronically limited to 155mph), yet the result of the combined consumption test is a creditable 32.8mpg, which corresponds to 203 grams CO2 per km. The seven-speed S tronic transmission with tight ratios that complement the engine’s performance characteristics can take care of extremely rapid shifts itself or leave the driver to change gears manually using the shift paddles on the standard RS multifunction steering wheel. When the Audi drive select dynamic handling system – a standard feature – is in its dynamic mode each gear change is accompanied by double-declutching. The quattro permanent all-wheel drive system smoothly delivers the engine’s power to the road via a hydraulically actuated, electronically controlled multi-plate clutch. Power is distributed automatically between the front and rear axles as needed, and even selectively to each wheel thanks to the networked Electronic Stabilization Control (ESC), which features a further enhanced sport mode affording even greater adjustability. 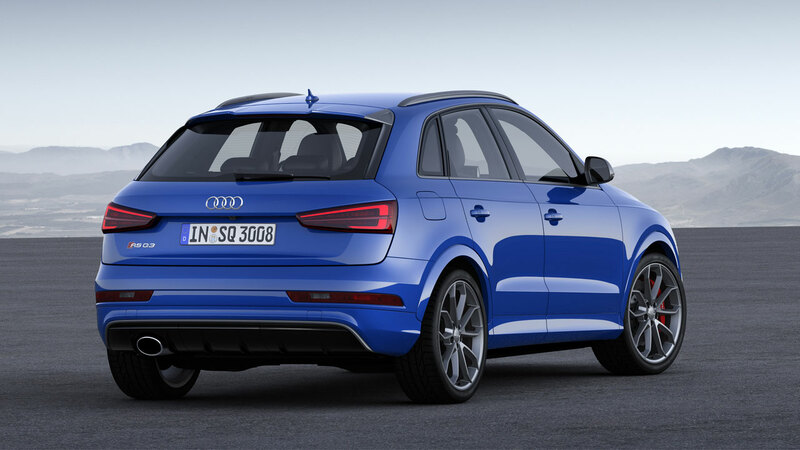 Complementing quattro is taut RS sport suspension which lowers the body by 20 millimetres compared with the standard Q3 and perfectly translates the propulsive power into incisive and rewarding handling. RS sport suspension plus with damper control is available as an option, and can adjust the dynamic parameters between Comfort, Auto and Dynamic settings via the Audi drive select dynamic handling system. The exterior design with its typical RS design details underscores the distinctive appearance of the Audi high-performance models. These include the purposefully styled bumpers with large air inlets up front, the heavily profiled diffuser insert at the rear and the gloss black honeycomb grilles. 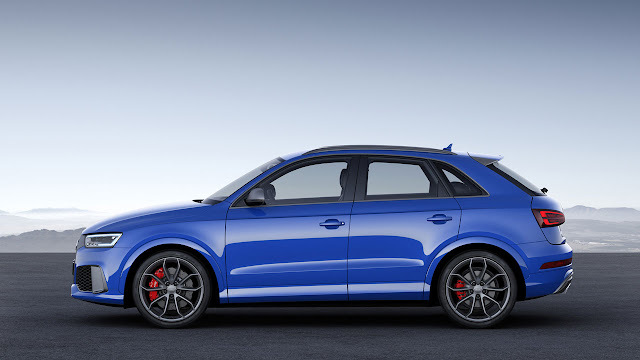 The exterior of the RS Q3 performance is also distinguishable from the ‘standard’ RS Q3 through additional matt titanium-look detailing applied to the frame of the air inlet duct, the Singleframe grille, the lateral flaps in the air inlets, the trim strips at the side windows, the exterior mirror housings, the roof rails, the upper edge of the diffuser and the fins of the roof edge spoiler. To maximise the differentiation, the new paint finish Ascari blue metallic is also exclusively available as an option for the RS Q3 performance. RS-specific 20-inch ‘performance exclusive’ alloy wheels with a matt titanium finish which complements the exterior detailing are standard, and red calipers bearing the RS logo are visible within them. These are also available in black at no extra charge. The dynamic line of the exterior design is echoed in the interior. The dial instruments feature grey faces, white dials and red needles. 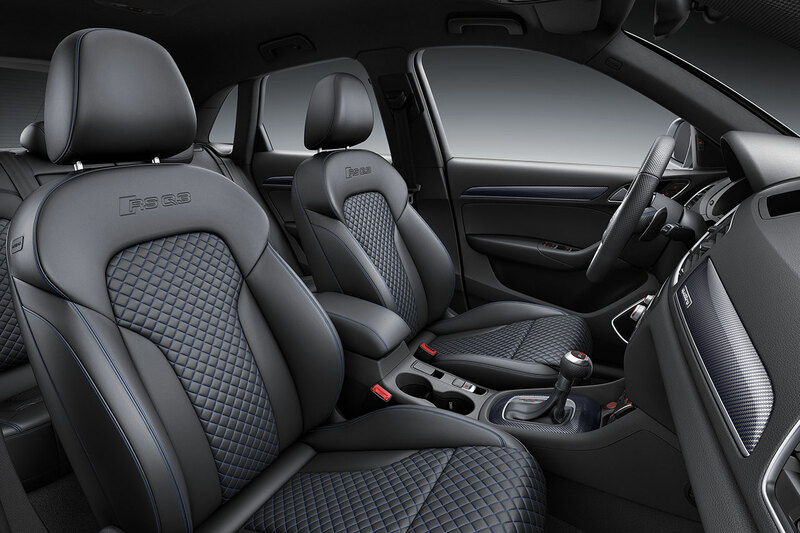 Sports seats finished in Alcantara and leather with honeycomb stitching in blue are standard for UK models, and the blue accents are also applied to elements such as the RS sport leather steering wheel, the selector lever gaiter, the centre armrest and the floor mats. Inlays in carbon twill blue, in which a blue thread is woven into the carbon material, continue the theme into the dashboard and door mouldings. Equipment levels befit the RS badge, and externally include all-LED headlights with LED daytime running lights and tail lights, privacy glass, powered tailgate operation and the Audi advanced key system affording keyless entry and starting. Inside, features such as front seat heating, the Audi Music Interface channeled through the 180-watt Audi Sound System, satellite navigation and front and rear parking sensors ensure that the prodigious performance is delivered as comfortably and conveniently as Audi drivers rightfully expect.